Exciting news from Tolkien publishers HarperCollins: Christopher Tolkien, son of J.R.R. Tolkien and his literary executor, surprises fans the world over with another book taken from his father’s ‘Legendarium’, this time The Fall of Gondolin, to be published worldwide on August 30, 2018. Running to a total of 304 pages, The Fall of Gondolin is the story of the last major kingdom founded by the Noldor to fall to Morgoth’s attacks. It is one of the three most important tales in Tolkien’s creative ventures we know from The Silmarillion besides Beren and Lúthien as well as Children of Húrin. 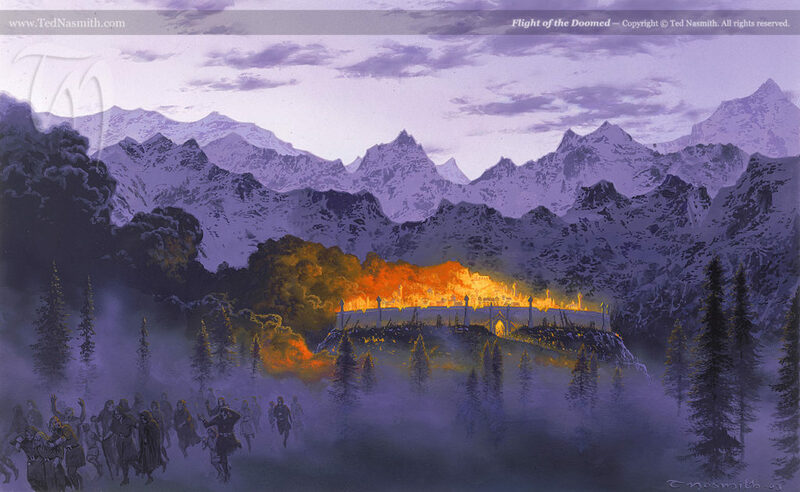 Following his presentation of Beren and Lúthien Christopher Tolkien has used the same ‘history in sequence’ mode in the writing of this edition of The Fall of Gondolin. Fans the world over are now discussing what exactly the book will be made of. Judging from the publishers’ mention of the ‘history in sequence’ mode is seems probable that this publication will tackle the complex editorial issues of J.R.R. Tolkien’s texts in the same manner as it was done with Beren and Lúthien. 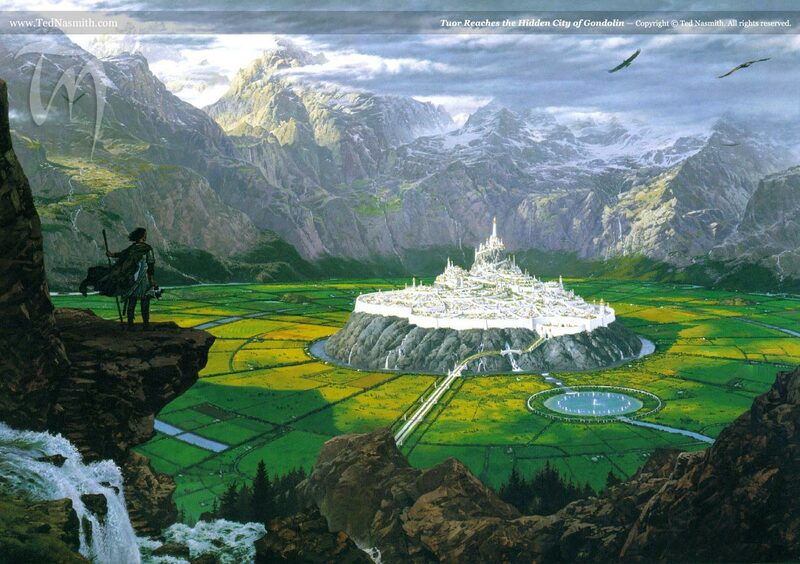 The Fall of Gondolin belongs to the earliest stories in Tolkien’s legendarium and – as with many others – has been revised and changed in the course of decades so that a single continous and finished story never emerged from J.R.R. Tolkien’s pen. Meticulously discussed in The History of Middle-earth series by Christopher Tolkien, this stand-alone is obviously meant to provide a glimpse into a version which should be as polished and finished as possible to provide easier access to the complex writings of his father to a much wider audience than before. Illustrations will be provided by the renowned illustrator Alan Lee who has also worked on the film trilogies by Peter Jackson. The announcement on this new book was made on the sadly underused official Facebook page of J.R.R. Tolkien. For further information on J.R.R. Tolkien and his work also have a look at the official website of the Tolkien Estate. The book will probably start off with one of Tolkien’s earliest Middle-earth stories, originally called ‘Tuor and the Exiles of Gondolin’, written in 1917 while Tolkien was recovering from trench fever during the first World War. This is in a pretty different style than his later writings, but is a pretty dramatic and exciting (and complete) story about the destruction of a major Elvish city. The book will probably also have the lengthy fragment ‘Of Tuor and his coming to Gondolin’. This was Tolkien’s attempt to retell the same story many years later, around 1951, in a more novel-like form (it’s in a similar style to The Lord of the Rings, which he’d just finished writing), and is really very good (except for the fact that Tolkien abandoned it long before he got to the dramatic sack of the city). Picture credits: Title picture (c) Alan Lee, HarperCollins, Tolkien Estate. Flight of the Doomed/ Tuor reaches the Hidden City of Gondolin (c) Ted Nasmith.